The Ambassador Alex plus the Consuls Amanda and Merina have the pleasure of inviting you to the February Get-Together! 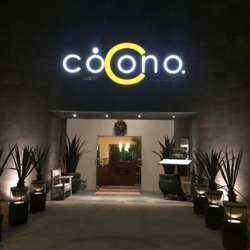 This time we will gather at Cócono, an upscale venue located in Avenida Yaxchilan in front of Costco. Please feel free to invite all of your friends (even if they are not in InterNations yet but PLEASE ask them to sign) as anyone is invited, come one, come all! Any questions send us a message and we will gladly try to help out.